Are you sitting down? Today in my second post of this three post mini series on staying organized, I’m going to share a little secret. And I want to make sure you’re ready for it. 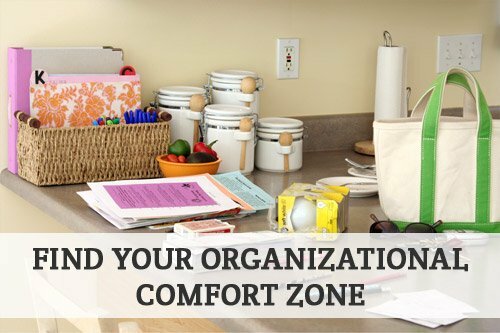 When I first started out as a professional organizer, I felt immense pressure to be really, really organized. If you’re thinking, Aby, you should be really organized, I would have to admit that you have a point. Just as you would expect the person teaching your fitness class to be in really great shape, you expect a professional organizer to be really organized. And, I assure you, I am organized! But, I can also assure you that every square inch of my home doesn’t look like it could grace the pages of a magazine every single minute of every single day! Could I create that look? Absolutely! Could I maintain that look and that level of organization? Sure. But at what cost? See, living up to that “magazine ready” standard of organization would take a lot of time. And I have other things I like to spend my time on. I enjoy running and laughing and having fun with my family. Speaking of my family, if I wanted to live in a magazine-ready state 24/7/365, what toll would that take on them? A big one! Living up to those standards would create a tremendous level of stress. And honestly, one of my drivers for getting organized and staying organized is to reduce stress! Not to create more of it. When I’m organized I’m happier, I’m more open to laughing and having fun, and I have more time to do all of those other things I enjoy doing. So being organized is important to me. But being organized is a means to another end, instead of being an end in and of itself. Things don’t have to be perfect – or magazine ready – for me to enjoy the benefits of an organized home. Find—and embrace—your organizational comfort zone. Alright, so what is your organizational comfort zone? Well first, let’s talk about the comfort piece of it. When you’re in your comfort zone, as you can imagine, you feel comfortable. Things are organized in a way that is just right for you. But again, what feels comfortable to you, may not feel so great to your neighbor, or friend or anyone else. Your goal isn’t to figure out what’s right for anyone else other than you. Okay? So when you think about your comfort zone, think about creating and maintaining a space that feels right to you. It’s where you are organized enough to enjoy your life and do the things you love to do, like all of those things you identified in my last post. Now the next thing that I want to stress is that your comfort zone is a zone, it isn’t a single sweet spot. This is really, really important because everyone’s home goes in and out of order. So the goal when staying organized isn’t to keep your home in its most organized state every second of every day. Instead, your goal is to create systems and habits that keep you within your comfort zone. Another way to think about your comfort zone is that it is the range between “perfect” and real life. It is how much disorder you’re comfortable letting build up before you take action. Most of all, knowing your comfort zone allows you to live and enjoy your life, even when your home isn’t perfectly organized! Isn’t this completely liberating? I think it is. Alright, it’s time to take action! For today’s post your assignment is to consider the idea of an organizational comfort zone. Have you held the belief that your home is supposed to be perfect 100% of the time? If so, are you now open to the idea of relaxing those standards a bit? Share your thoughts in the comments. Remember, there are no wrong answers here. Just your own unique perspective on what feels right for you! I can’t wait to hear all about it. Relaxing standards is a very good point Aby! I think with all the magazine pictures and pinterest photos it is easy to create an ideal in our minds that is not realistic. I know i have to not too hard on myself! Thanks Kristin! I try to strive for a happy home instead of a perfect home. Thanks for this post Aby! It is exactly what I needed to hear right now. I am a perfectionist, and struggle with organization. If it isn’t going to be “perfect” I won’t bother to try. Recently, I have been telling myself that I can organize, and if it doesn’t work for me I can change it or tweak it until it does work. It is a very liberating concept, and one I am still struggling with. Thanks for helping me see the light! I know that in real life I do have relaxing standards. At the same time I feel this is a bit of a slippery slope, once I let things “slide” they tend to get worse and worse until it’s too much. Although I must admit, things are usually not more than 30mins away from the order I would like. But… when I watch TV shows where people get a surprise (lottery / garden make-over arranged by their spouse / etc.) I can’t help but wonder if they always have such a clean and nice looking home. I wouldn’t want a camera team at my door without any warning ;-)). There are many times when I wouldn’t want a camera crew at my doorstep, that’s for sure! Thanks Petra! 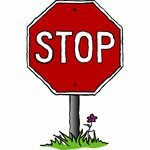 Thank you Aby, I really enjoy reading your posts. I am working on finding my organizing comfort zone. Thanks Darci! Good luck finding your comfort zone.